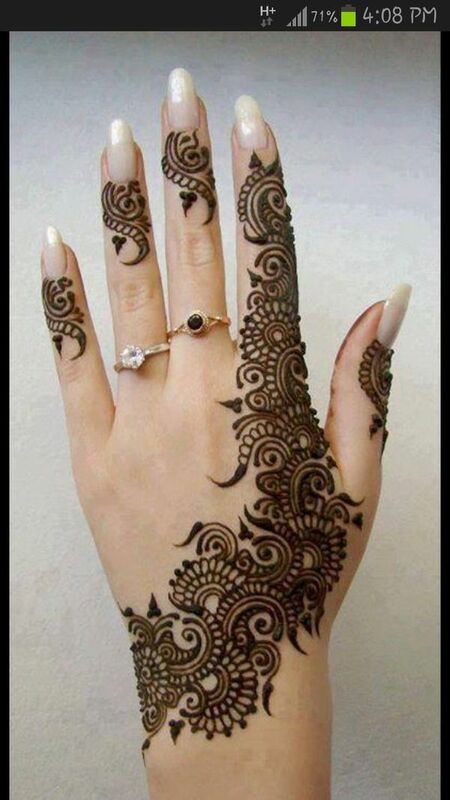 Heena is an auspicious thing for the brides. We have a custom of putting Heena for weddings and other festivals as it brings the freshness and its great fragrance adds upto the positive energy too. But its important for the bridesmaids and other relatives too. 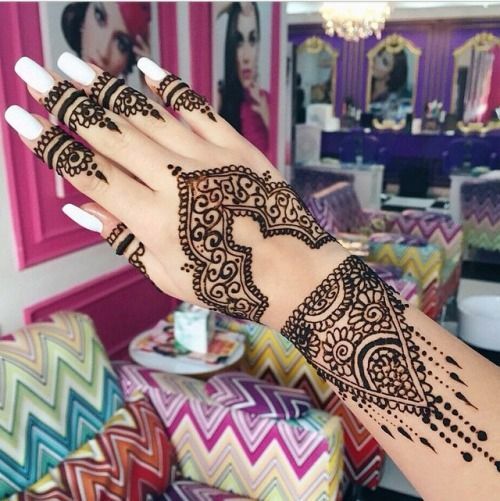 Though the bride goes for the intricate and detailed mehndi designs, others can choose from other different styles, which are not too detailed. 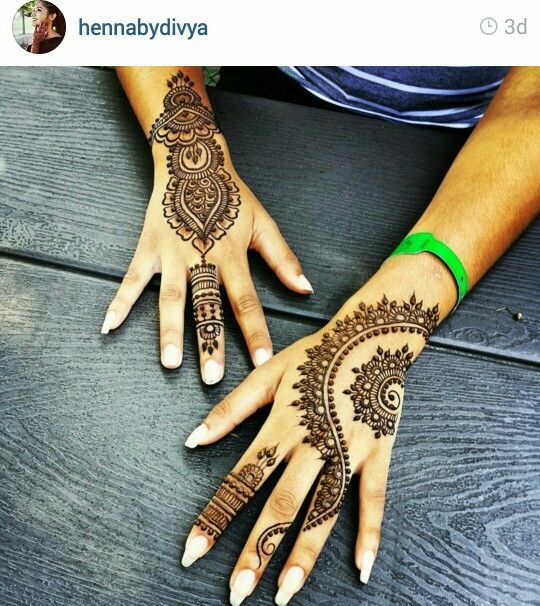 One such style trending nowadays is the Haath phool mehndi design. 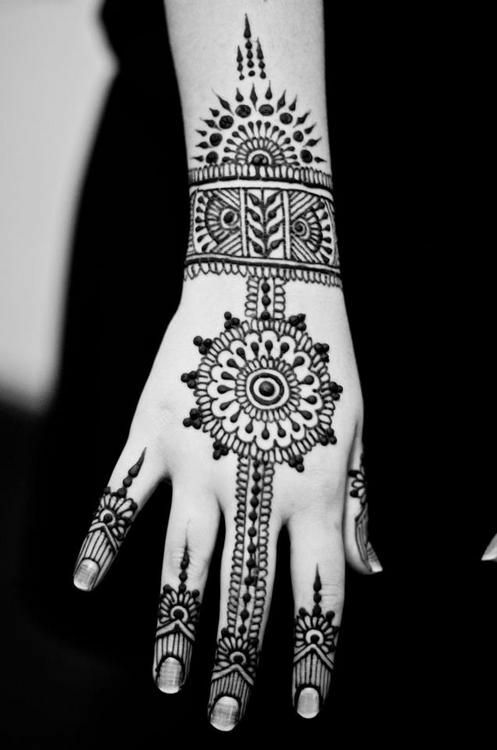 Its inspired from the Haath Phool jewelry which brides wear on their hands for the wedding day. 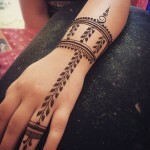 The designs are simple and put a break to the conventional mehndi designs. So next time you can try them out, instead of the same old designs. The Single Ring Style– A thin chain connects the upper finger ring and the cuff or the bracelet around the wrist. 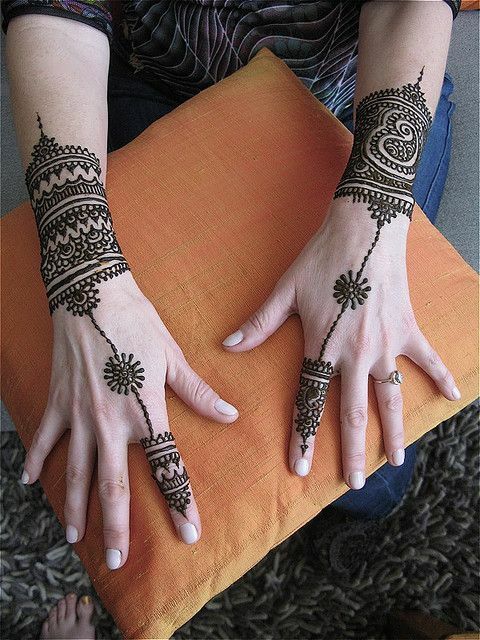 The Center Jhumar style– A design detail in center connects the upper and the bottom wrist cuff. The Jhumar detail can be in any design, round, square, rectangle anything. The extended ring style– The design of one of the rings extends to connect the wrist design in this one. 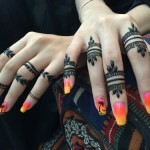 You can have design done on other fingers or just keep it for one only. The Free Style– Here the center design stays free without any connecting design to support with. You can keep all the three elements, fingers, center and wrist design separate. The Asymmetric style– Use different distinctive style on both the hands for a different look.